If you were stranded on a desert island, what one food would you absolutely have to have, no matter what? There’s a lot to consider since we’re talking about survival here. I’ll assume there are coconuts on this island, and having seen Castaway about a hundred times (and being a massive Lost fan), I’ve learned basic coconut-opening skills with nothing but some rocks, arm power, and a bit of patience. That leaves me with avocados. How can I live without them? I’ve featured a number of recipes using avocado in the traditional ways: mashed into guacamole, sliced up in tacos, or chopped into a salad. But have you tried avocado in a cake? Or pudding? Or in mac and cheese? These fruit (yep, they’re fruit!) are super versatile, and can be used as a substitute for healthy saturated fats, like butter or oil, in many different recipes. Sodium and cholesterol-free, but densely packed with approximately 380 calories, 35g of fat, 16g of fiber and 5g of protein in an 8oz serving. Despite the high fat content, these fats are mostly monounsaturated (MUFAs) which are healthier and mainly found in avocados. Speaking of fat: Perhaps the biggest health benefit of eating avocados is oleic acid, an omega-9 fat which helps decrease blood cholesterol by increasing the production of HDLs, or high-density lipoproteins. Vitamins & Minerals: In a 1oz serving of hass avocado (about 1/5 wedge), there is 152mg of potassium (4%DV), 6.3mcg of Vitamin K (8%DV), and 27mcg of Folate (6%DV). Avocados are also rich in Vitamins B6, E,C, and Riboflavin each accounting for 4%DV. Fiber: Avocados are high in fiber with approximately 40% of your DV in one serving. Fiber improves digestion and can help reduce your risk of heart disease and cancer. If I could have an avocado a day, I would. In fact, I usually do! The creaminess of avocado with the subtle sweetness of coconut, make this popsicle a yummy and refreshing treat this summer. With less than five ingredients in this recipe, this is easy enough to pull off any day of the week. There’s no such thing as too many pancake recipes, in my opinion. This avocado buckwheat version powers up your breakfast with loads of fiber and is a great gluten-free substitute for traditional wheat pancakes. I know what you’re thinking. Spaghetti and…avocado? Surprising, I know. But when you consider the buttery texture and mild flavor of avocado, it makes sense. It’s like a different version of pesto. I’d consider going with a whole wheat pasta here to add some nuttiness and even more fiber. Mac and cheese usually gets a bad rap for being an unhealthy food, but there are easy ways to give this dish a healthy makeover. 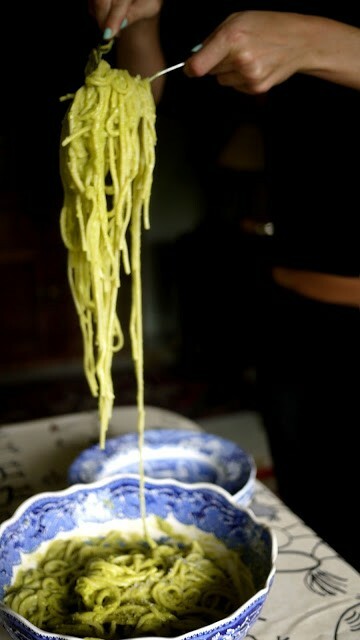 We’ve seen that avocado and pasta can go well together, so this shouldn’t be much of a stretch. 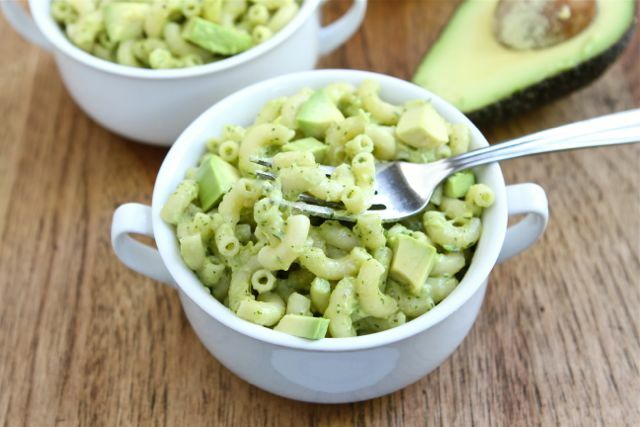 I love the use of cilantro and lime here to give this mac and cheese some punch. This is a comfort food recipe that you can adapt to each season. Add some butternut squash in the winter months! 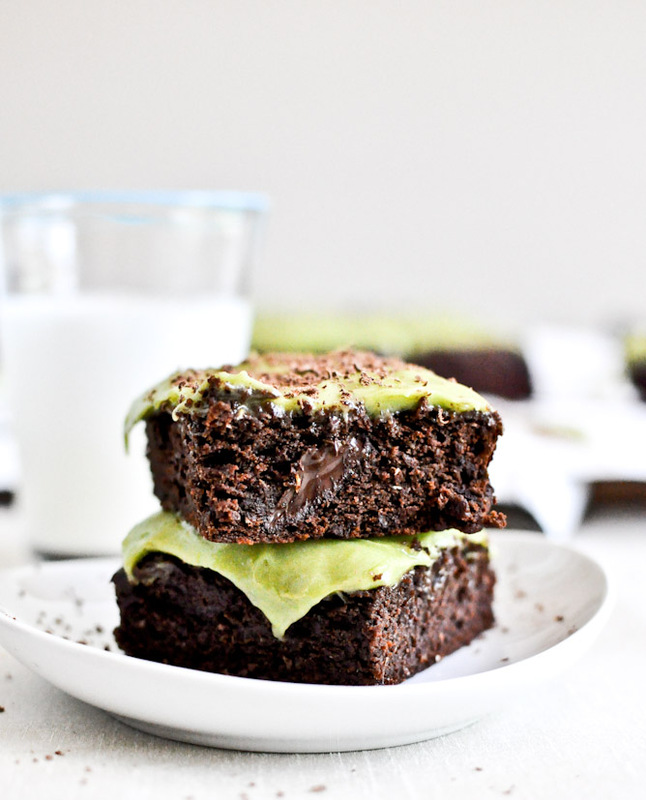 Chocolate and avocado may be the most surprising combination….but it works. Trust me. I’ve made chocolate avocado protein smoothies before and it’s delightful. Brownies are the ultimate splurge food, so it’s pretty great to find a recipe out there that won’t make me feel completely guilty. Time to treat yo’self with these brownies! There are so many amazing avocado recipes out there. Open yourself up to trying one that’s a little out of the ordinary to spice up your weekly menu. It’s time to pick up some avocados! Please feel free to share your thoughts below or on FB and Twitter. Stopping by from the SITS Linkup… Great recipes. I absolutely LOVE avocados and usually eat one a day. I’ll definitely be trying these recipes, especially the brownies! Thanks for stopping by Maurissa! Oooh, if you try the brownies, let me know! I have to give those a try myself. It’s amazing how many things you can do with avocado. So many lovely ideas here though! I’m kind of curious about the brownies as well but to be honest I’ll really take any excuse to eat an avocado. My favorite fruit! Or vegetable? hah! Thanks so much Mae! Oh no, I’ll check the links to be sure they’re working properly. And I agree with you 100%. I think I can eat a whole avocado everyday if I could. Glad you stopped by!